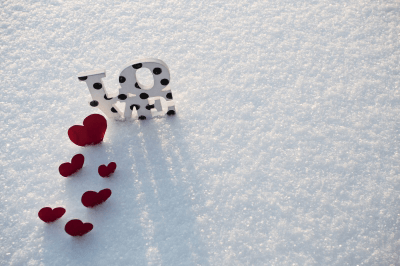 This month I’ve been testing UK VPN servers to find out who offered the fastest in February 2016 and find out in the month of love which VPN provider you should show your love, err I mean, cash to. If you haven’t seen our speed tests before then each month I run through the top VPN providers to find out what the maximum speed I can achieve on their UK VPN server is. Over the past 12 months the providers have stayed consistent with very little change between the top and bottom providers. As VPN services cost roughly the same give or take a few pounds or dollars it just goes to show that you can get plenty more bang for your buck depending on which VPN service you sign up to. This month LiquidVPN, Overplay and IPVanish are the standout providers so if you’re looking for fast speeds then these are likely to be your best bet. Time to check out the full list of results to find out who is hot and who is not. Testing was done on Friday 12th February 2016 between 10:00 and 11:00 am. All tests were carried out on a Windows 10 system using the custom software of each provider except for IronSocket who was tested via OpenVPN GUI and their config file. Each provider was tested using OpenVPN with 256 Bit Encryption and the UDP protocol with the exception of ExpressVPN who offer 128 bit encryption. What did I take from the February 2016 speed tests? This month my internet connection was running slower than the maximum speed, in fact, it was running a whole 50% slower. Apart from my poor internet connection this month the VPN providers tested overall performed exceedingly well with the top 5 providers all coming extremely close together in terms of the maximum download speed. Again LiquidVPN and IPVanish show exactly why they’re two of the top providers in the industry as they’ve both consistently offered the top speeds for well over 12 months now. Overplay made a massive leap in the speed stakes this month jumping to the number 2 position jumping from 8th in November to 5th in December and January. With such increased results it shows the quality of the Overplay network is being improved. If you’ve got time take a look back through the VPN server speed results by typing the previous months names in our search box and you’ll start to see a pattern emerging of which VPN providers are the fastest. There are tons of reasons to get a VPN service now if you haven’t already. UK users will want to beat the Snooper’s Charter than plans to log all your online activity for up to 12 months, with a VPN you can encrypt your browsing activity and avoid this. This month Netflix announced a crackdown on VPN services that allow you to access other regions movie catalogues. The great news is this “crackdown” didn’t last long and within days most VPN providers had introduced fixes. So if you want to access other Netflix regions then using a provider like IPVanish or StrongVPN will help you achieve that. So until next month, stay speedy!